Charlton Physio is a group of award-winning medical professionals that are dedicated to an integrated approach to chronic disease and pain management and the universal promotion of optimal health + wellness. We utilize our expertise and state-of-the-art technology to improve lives. Our clinic blends therapeutic pain management with innovative medical fitness and preventative strategies. Quite simply, you will feel better, move better, and live better. Mintu Anie Mathew has a master’s in physiotherapy (2008) from Rajiv Gandhi University of Health sciences. She worked as a physiotherapist and as lecturer for the masters’ programme in fr.Muller medical college for 2yrs and in a Heart foundation ICU for 1 yr, before moving to Canada in 2012. 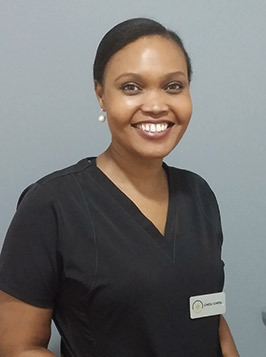 Mintu received her licence as a registered physiotherapist in 2014 and she is working with Life clinics in Hamilton, Charlton physiotherapy since then. She has been working with all age groups of patients for their various health needs including Pelvic Floor Physiotherapy and Acupuncture. Her aim is to improve the Quality of life of her patients by providing them therapeutically designed treatment programmes which emphasises on their active participation. She makes sure that her presence in the clinic makes it an efficient, trusted and a happy place for all. Her team of clinical staff have been well appreciated by her clients and other health professionals. Her personal interest is to spend time for morning yoga, gardening, and community activities and for her precious family and friends. Dr. Aaron Cocklin is a dedicated and engaging chiropractic practitioner with over 13years of healing experience. He received his honours bachelor’s degree in Kinesiology from Lakehead University in Thunder Bay, Ontario in 1996 and then went on to study at Logan Chiropractic College in St. Louis, Missouri where he earned his Doctor of Chiropractic in 2000. Upon graduation, Dr. Aaron remained in the United States and made a life for himself as a Chiropractor in the Carolinas. Following a position as Clinic Director at a chiropractic clinic in South Carolina, Dr. Aaron decided to open his own practice in Concord, North Carolina where, over the past 11 years, he became an active part of the community and built a thriving practice. Eventually, though, Canada came calling with a longing to return to his country and be closer to his family, as his niece and nephew were growing up. Over the years, his continuing education has encompassed a broad range of topics concerning chiropractic treatment including diagnosis, adjustment management and rehabilitation, as well as nutrition and dietary supplementation. He is certified in Neuro-structural (kinesiology) Taping Technique and as a Myofascial Mobility Instrument-Assisted Soft Tissue Mobilization provider, in addition to his Certificate of Completion in the Whiplash and Brain Injury Traumatology Program from the prestigious Spine Research Institute of San Diego. His diverse background allows him to successfully treat a wide variety of conditions for a cross section of people, from children to seniors. 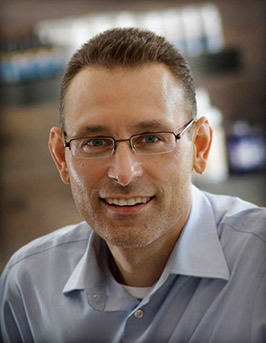 Dr. Aaron incorporates various modalities into his care, including Diversified Technique (spine and extremity), Instrument Adjusting Technique, Impulse and Activator Adjusting Instruments, Manual and Instrument Assisted Soft Tissue Mobilization Treatment, Myofascial Release and Trigger Point Therapy and Kinesiology Taping. Dr. Aaron is a passionate advocate for all aspects of health and wellness and enjoys participating in a variety of fitness activities and spending time with his pets. My name is Chouchou Mwunvaneza and I am a Physiotherapist Assistant who begun my employment at Charlton Physiotherapy in 2012 and have been working for Life Clinic since August of 2014. I work with clients ranging from children to seniors teaching them to effectively cope with their limitations in movement, daily functioning and activity. I have accomplished attaining a degree, varying from Graphic Communication in Photography and Photojournalism from SIAST College in the Western part of Canada, as well as earning my Physiotherapist Assistant Diploma and Cardiopulmonary Resuscitation Certificate from the National Academy of Health and Business in Hamilton, Ontario in 2012. At the National Academy of Health and Business, I was enrolled in a two-year program that enabled me with the skills to become a Physiotherapist Assistant. Other accomplishments include: volunteerism with the St. Peters Hospital working in the departments that consisted of medically complex services in Physiotherapy. These departments displayed the importance of patient care, management of patient credentials, aiding patients with contractures, as well as seating and mobility issues that arise with degenerative diseases such as Multiple Sclerosis and Amyotrophic Lateral Sclerosis. I thoroughly enjoy spending quality time with my daughter as well as traveling and experiencing new adventures with loved ones. Currently, I am continuing my education in recreational and occupational studies. I am excited for the future and my endeavors in the field of science. I highly believe in the importance of one’s mobility and strength to restore physical function, as this is displayed with clients through various exercises with care and continuous compassion. Establishing proper treatment goals alongside the Physiotherapist is a main priority that is effectively carried out through the aid of physical diagnoses whilst maintaining the patients clinical and statistical records on an everyday basis. I have always loved working with people, as this career encourages the display of my interpersonal skills, as well as my knowledge in science and its influence in our everyday lives. 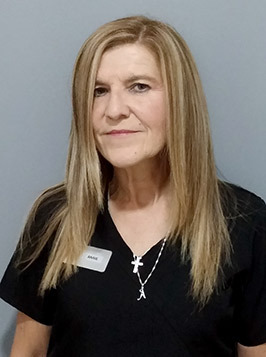 My name is Anne and I am a clinic coordinator of the Hamilton clinic of Life Clinics. I have schooling is Medical administration, psychology and sociology. Working in this field has really made me a people person enjoying contact with the public. I have worked for a physician and occupational therapist in the past learning a little variety of different disciplines. My downtime includes reading, fishing, and most important hiking enjoying the outside as it is always puts a big smile on my face. During my home time I enjoy spending time with family (including dogs) and friends, never can get enough!